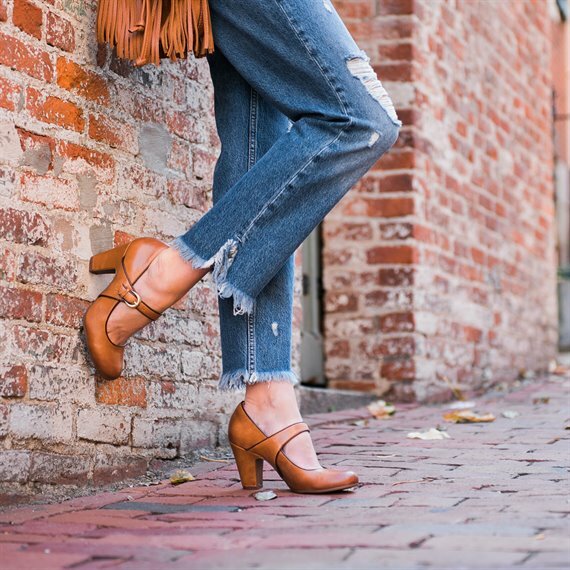 Product description: Our best-selling mary jane has a rounded toe and a chunky heel, for a super-comfy fit with a bit of retro flair. I've thought about buying this shoe for two years and finally decided to purchase. The shoe fits narrow at the toes but is comfortable for me . I tried a size up at the store and the fit was loose at heel. I adore this little shoe. 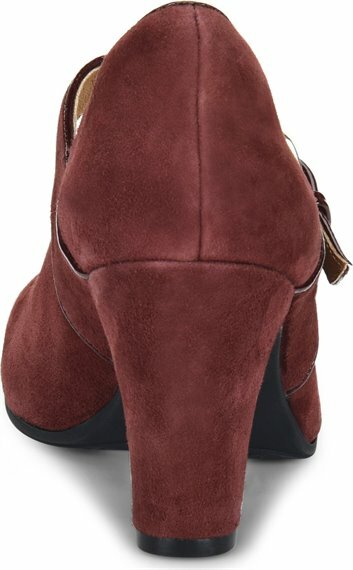 I bought it in black suede and sized up from my usual 7 to a 7 1/2 as most reviewers suggested and they fit good. They are slightly loose in the heel, but I have a narrow heel and this happens with every shoe or boot I buy. I wore them and they were so comfortable and made me feel confident walking on uneven surfaces but mostly they are so darn cute. 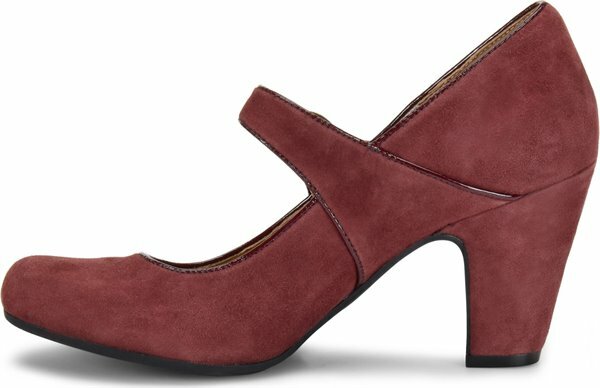 I would normally go for a classic pump but I'm so glad that I went out of my comfort zone with these Mary Janes! Highly recommend. 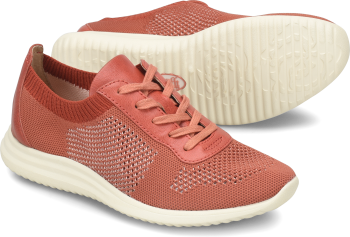 The shoes are cute and beautiful and look very comfortable but they were a full size smaller which I found very weird because I have other sofft shoes that fit perfect and true to size. 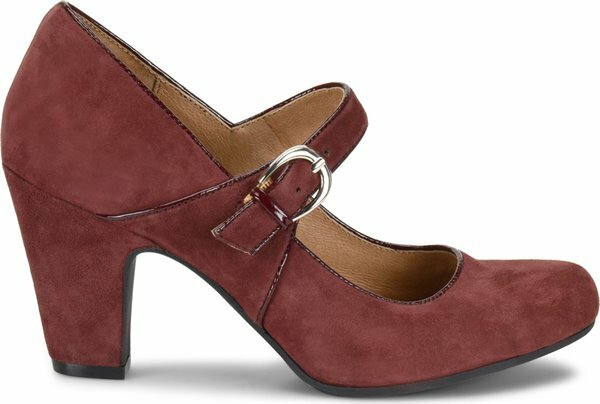 I bought this Miranda model shoes for my mother who is a 7.5 and she couldn't even try them they are super small like a 6.5. Loved this comfortable shoe. 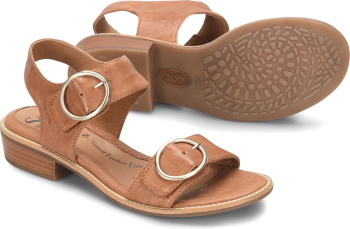 I normally wear a 6 and 1/2 in a Sofft sandal, but go up to a 7 for a closed toe for the extra width. The seven was very tight and uncomfortable so I sent it back and got 7 1/2 which is a little loose in the heal but comfortable in the toe and the strap is Sturdy so they work well. 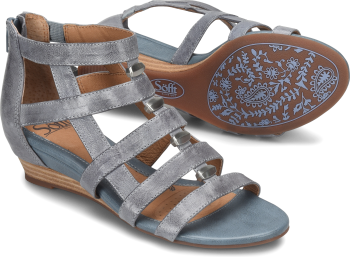 I wish Sofft would return to making more shoes in wide widths like they did years ago when I first found them. I would absolutely recommend these shoes to ANY friend or family member! 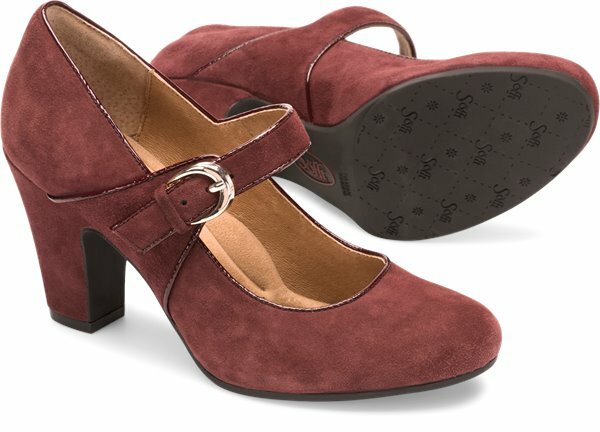 I'd searched high ; low for somewhat comfortable yet fashionable Mary Jane style heels, and I finally found them here! 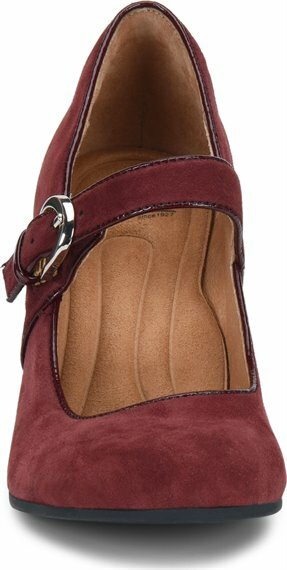 Beautiful shoe that I've had my eye on for a while, but I need something that I can stand in for long periods of time and these are not nearly supportive enough for that and have zero arch support. Never ever, every stop making this shoe. They are the perfect shoes for everything . Comfortable. Cute. Perfect for work or for a night out. I own them in three colors and plan to purchase them forever. Best shoe I have ever owned. I would buy this shoe in all colors if it came in a wide width! These beautiful shoes are comfortable for a full day on my feet. Love these heels! They are a bit taller than I expected, but they are absolutely great. they are easy to walk in, the strap really helps you feel sure in your footing, and these shoes really elevate some of my office outfits. I love the color, and the leather is strong (it has scuffed a bit, but it stands up so much better to real life). I'm 23 and I'd probably consider this more of a young adult shoe, but another thing I love about this shoe is how versatile it is (great in the office, great for a date if you're going for picnic or something). They do get uncomfortable eventually (I don't wear these on long walks) but they feel sooo much better than any of my other heels. Totally recommend. These are the most comfortable shoes I have had on my feet. I just found out about Sofft and I will be buying a lot more of them. I am on my feet most of the day and these shoes feel wonderful.